Extravagant claims about one person’s influence on Physics recruitment. 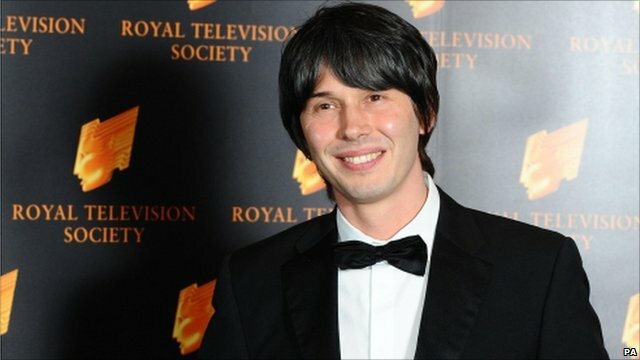 Manchester has always been a popular choice for physics but the university admitted that a recent rise in applications had been partially driven by the attraction of Prof Cox, one of the department’s academics and presenter of television series such as Stargazing Live and Wonders of the Universe. He currently teaches quantum mechanics and relativity to first year students. It also reflects the increasing popularity of the subject nationally on the back of publicity surrounding the Large Hadron Collider at Cern. Across Britain, the number of students taking degrees in physics has soared by 50 per cent in just eight years to reach more than 40,000 in 2011. Of course such an impact does take time – it starts with the GCSE and then A level choices made at school before we even get to the university application stage. So whilst the latest surge in applications to Manchester and for Physics more broadly may well be attributable at least in part to Professor Cox, it is not the whole picture. Here at the University of Nottingham we have witnessed a similar phenomenon. So it’s not just about the Brian Cox effect. It’s also the Martyn Poliakoff phenomenon. 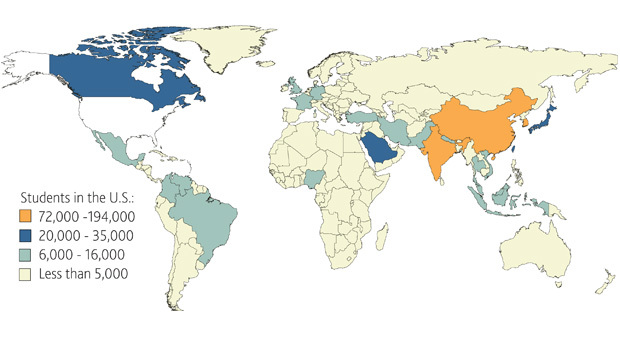 The 2012 Open Doors Report on International Educational Exchange, released today, finds that the number of international students at colleges and universities in the United States increased by six percent to a record high of 764,495 in the 2011/12 academic year, while U.S. students studying abroad increased by one percent. This year, international exchanges in all 50 states contributed $22.7 billion to the U.S. economy. International education creates a positive economic and social impact for communities in the United States and around the world. Open Doors, supported by a grant from the Bureau of Educational and Cultural Affairs at the U.S. Department of State, is a comprehensive information resource on international students and scholars studying or teaching at higher education institutions in the United States, and U.S. students studying abroad for academic credit at their home colleges or universities. What is most interesting about this data for me is that if the University of Nottingham UK (ie not including our campuses in Malaysia and China) were to be included in this table it would be at the top with, by our reckoning, 9,662 non-UK students enrolled in 2011/12. My guess is that Manchester and UCL would have even more than this. Similar data for the UK can be found on the UKCISA website (which reports official HESA data) but note that the latest figures are for 2010/11. The US seems to be able to publish a little faster than we can. And of course we may find the numbers of international students in the UK declining in future as the full consequences of the Government’s immigration policies come into play.